Ashton Villa was built by James Moreau Brown, beginning in 1859. The family occupied the house by 1861. Mr. Brown was born in New York State on September 22, 1821. He was the youngest of 16 children. After running away from home, he was apprenticed to a brick mason. 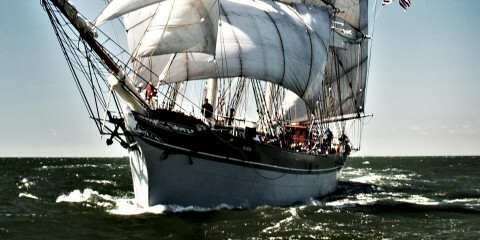 He left New York around 1838, arriving in Galveston sometime in the mid 1840s. In Galveston, he opened a hardware business and became quite prosperous. By the mid 1850’s he must have been deciding to build a more substantial house than the one he was living in on Market St. In 1855 he purchased a slave named Alek, who was a brick mason. In 1859, Brown purchased the lots on Broadway for $4,000. The house building began. The house that Brown choose was similar to that found in a architectural pattern book that was published in 1851 by Samuel Sloan, a Philadelphia architect. The design was that of an Italianate villa, with wide overhanging eaves and ornate cornice brackets. Brown changed some elements of Sloan’s design, but kept the basic square symmetrical shape, departing most in the addition of the dramatic wrought iron veranda. The veranda probably came from the firm of Perot and Wood of Philadelphia, who supplied the fence and gate. Five children were raised by James Brown and his wife Rebecca Ashton Stoddart Brown. They were John Stoddart (1848), Moreau Roberts (1853), Rebecca Ashton, known as Bettie (1855), Charles Rhodes (1862) and Mathilda Ella (1865). In this house, the most dominant figures are the daughters, Bettie and Mathilda. Bettie was a rather independent woman for her generation. She never married and was a rather accomplished amateur artist at a time when women were allowed to dabble in painting china, but were not to cross over that line to actually paint seriously. Much of her artwork is on display in the house. Mathilda was the youngest child and came back to Ashton Villa in 1896 after she divorced her husband Thomas Sweeney. She returned to live in the house with her three children. Mr. Brown lived in the house until his death on Christmas Day, 1895 at age 74. Mrs. Brown died in 1907. The house went to Bettie, who lived here until her death in 1920. Mathilda inherited, leaving it to her daughter Alice in 1926. The house was sold to the Shriners, who used it as offices until 1970, when the museum property was taken over by the Galveston Historical Foundation, who opened it to the public in 1974. 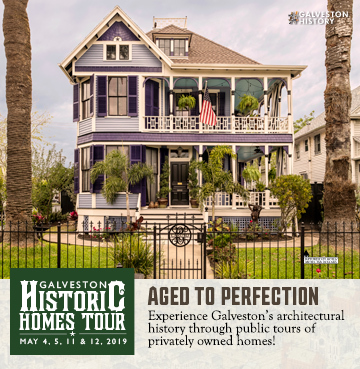 The 1859 Ashton Villa is not open for public tours, but can be viewed at 2328 Broadway in Galveston, Texas. 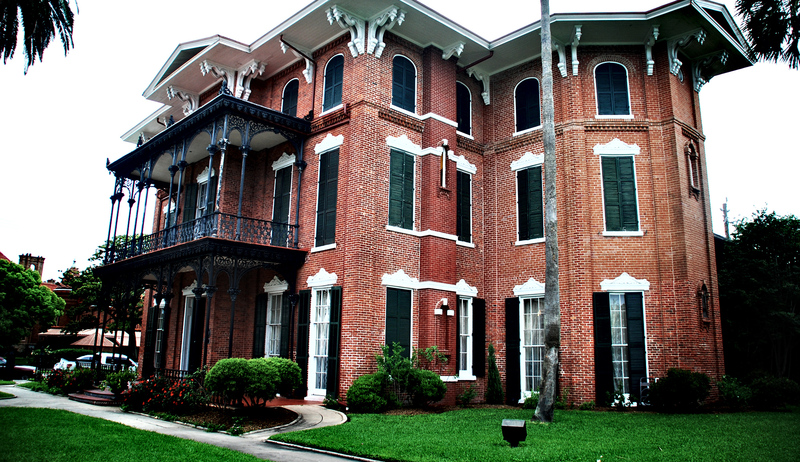 The 1859 Ashton Villa, first of Galveston’s great Broadway mansions, has long been at the center of the Island’s social life. The home’s original first-floor interior rooms, with their elegant architecture and gold filigree, have been the site of stylish entertainment since before the War Between the States, and, newly restored from the damage inflicted by Hurricane Ike. For larger events, consider the spacious open ballroom, which was added in the 1920s for use by the affluent Brown family, the building’s first owners. With its low stage, caterer’s prep room, rest room facilities and convenient parking, the ballroom provides an enchanting setting for weddings and receptions, luncheons, parties, dinners or business meetings. Ashton Villa’s grand Ballroom, with its elaborate chandelier and dramatic lighting, makes an elegant venue for your event. Capacity: 250 Standing, 200 Seated with dance floor. Rental for 10 contracted hours.